The program prepares our students for a rewarding and well-paying careers in the electrical profession. 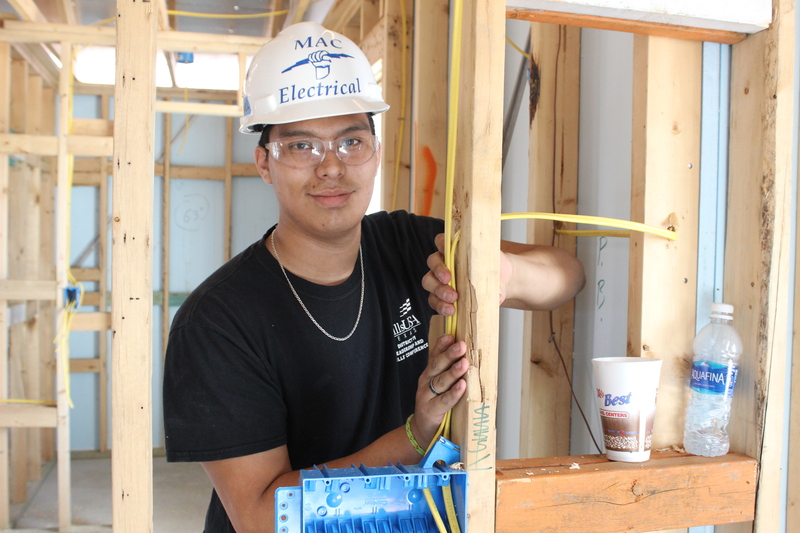 Whether our students want to pursue a career as an electrical engineer, electrician, electrical maintenance technician or heavy equipment technician, the EST program offers the technical skills and certifications necessary for them to enter the work force right out of high school or go on to college. Students in the program are taught technical and marketable skills, such as reading blueprints, applying building codes, striping and twisting wire, developing circuits and bending conduit. The EST’s business partners hire students through internships and help support the program through monetary and material donations. Our students also help build and wire homes for Habitat for Humanity. After graduating from high school, students can continue their apprenticeship through the adult apprenticeship program through the IEC or any apprentice of their choice. Many students also choose to go to college to fields that include Electrical Engineering or Construction Management. EST accepts students across the district and city as a Department of Labor (DOL) Pre-Apprenticeship Secondary School Program. Vote for us! Voting is now closed. Thank you for participating!